To create beautiful curb appeal, rotate your mow direction every 2 weeks. This will prevent the grass from growing at a specific angle and prevent ruts from the mower tires and cutting units. The general rule of thumb for cutting is to remove no more than one third (1/3) of the leaf blade during each mow. 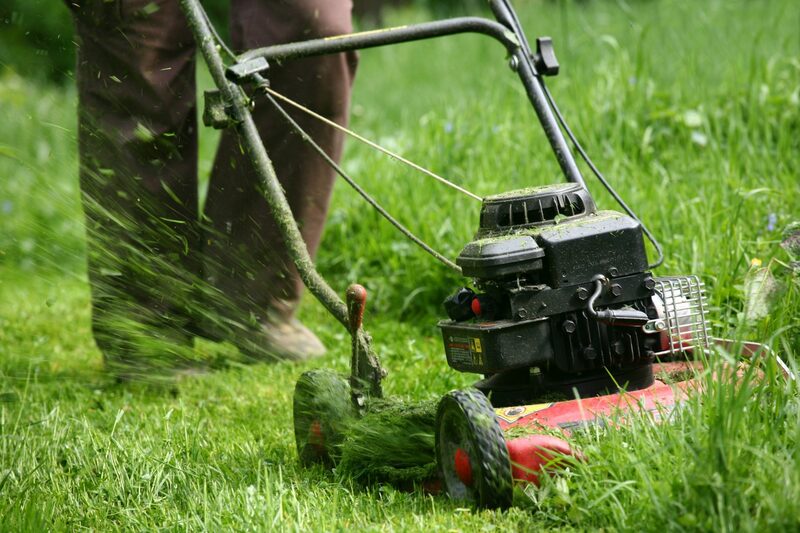 Mow when grasses are dry, as the wet grass is more difficult to cut and may clog your mower. Safety first…wear earplugs, proper footwear, and eye protection while mowing. Keep children and pets at a proper distance while mowing and always remember to turn off your mower when not in use. Don’t forget to perform regular maintenance on your mower, which includes sharpening blades (dull blades can fray grass & result in brown tips), oil changes and checking tire pressure. MOW HEIGHTS: Mowing at the appropriate height is important to the appearance and health of your turf. Mowing too low will result in a shallow root system, low density, and potential disease infestation. Mowing too high results in a poor appearance and clumpy/wide leaf blades. Mowing at the recommended mow heights will result in deeper, stronger root systems and will keep your lawn healthy. During hot weather or drought conditions, stay at the upper end of the recommended height and during cool weather, cut at the low end of the recommended height.